Egyptian shammy bread is a staple food in the life and culture of Egypt. I’ve come to appreciate it the longer I live here. Like most staple foods, it’s so simple and yet so delicious. Shammy bread signifies life in a way that few other foods could – life in Egypt, and life in general. * and an integral part of life. Interestingly, the Arabic word Egyptians use for bread “aish” is similar to the word “to live”! In Egypt, you can get bread that we as Westerners would call “normal”: pre-sliced, pre-packaged loaves that come delivered in a small van. The locals scathingly refer to this kind of bread as “toast.” This is far from what they think of as bread! 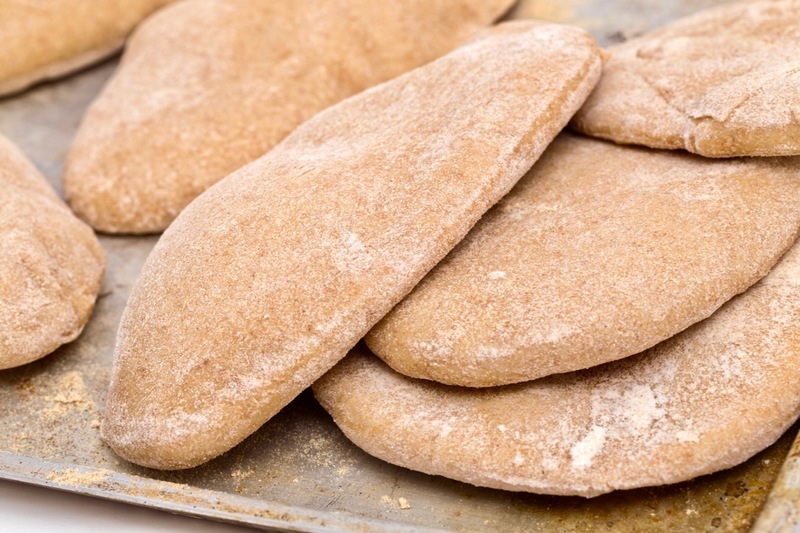 In essence, Egyptian shammy bread is their version of pita bread – flat, round, and delicious! This is what Egyptians love, and no meal is complete without it. The look, ingredients and size may vary depending on where it is made. 1. A local “government” bakery, usually found in the local souq (market). You can find these bakeries by following your nose: that wonderful permeating smell of fresh bread. That and the teeming mass of agitated people, yelling and gesticulating to the bakers (behind counters) who are taking orders from the people. This bread is subsidised (read: very cheap) and bought by the load… literally! People cart off the shammy bread in bags, cardboard boxes, on pallets balanced on heads, or on trays. 2. A private bakery: this is not the patisserie kind of bakery, but bread only! They usually have a gas-type pizza oven behind the counter where they quick bake the breads. They are more expensive than the government variety, but the flour is considered to be better, and there are no queues. But no matter where you buy shammy bread, there is a trick: they need to be cooled off individually before they are packed, or else they get damp and sticky! So you’ll find shammy bread laid out to “dry” on any surface near the bakery: pavement, table, tram seats, station floors, etc. Once they have cooled sufficiently, they will be packed up and taken home. This process usually happens twice a day. An average family of 6 will eat 36 per day – 2 at each meal…glorious! Egyptian Shammy Bread: It’s All In the Tasting! Shammy bread is normally served up with breakfast (fuul beans, perhaps falafal)** with lunch (chicken or fish, or salad with cheese) and dinner (something light). You grab a shammy, tear off a piece, and then usually use it as a “spoon” to pick up a portion of the food. Many foreigners make a sandwich of it! With meat, cheese, salad or on its own… it is wonderful! And you will be expected to eat quite a lot of it. it is the Staple food here! It brings light to their eyes, and if you enjoy it, you will gain the love of the people. As you consider traveling to Egypt or make plans for an upcoming trip, consider leaving room in your schedule to enjoy the simple things in Egyptian culture that make it so beautiful. 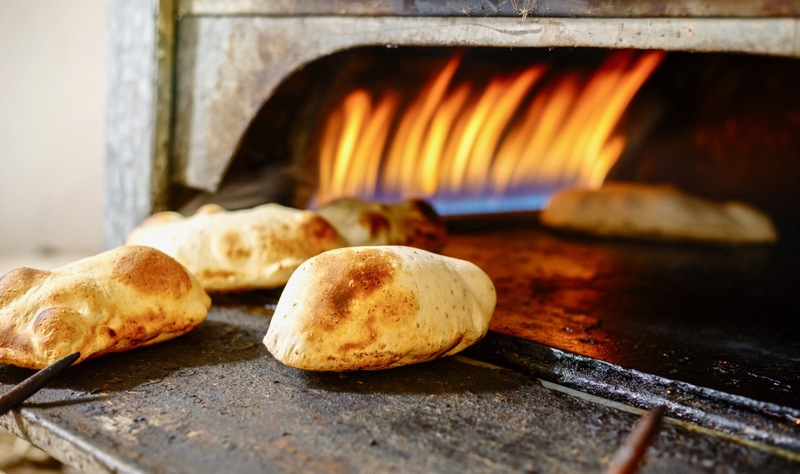 Shammy bread is Egyptian life in its essence, and may just be one of the most memorable parts of your visit! Contact us today for your free quote of an Egypt tour. We’ll craft a tour for you that’s a perfect balance between experiencing Egypt’s delightful culture and discovering its ancient past! Interested in a tour of Egypt? Contact us today for your free quote. We'll craft a tour for you that's a perfect balance between experiencing Egypt's delightful culture and discovering its ancient past!